The two Aston Martin Racing DBR9s stayed in North America after the Mobil 1 12 Hours of Sebring – and now the team has confirmed that they will compete in the next two ALMS events, at Houston on May 12 and Mid-Ohio on May 21. Three of the drivers have been announced: Tomas Enge, Stephane Sarrazin and Pedro Lamy. 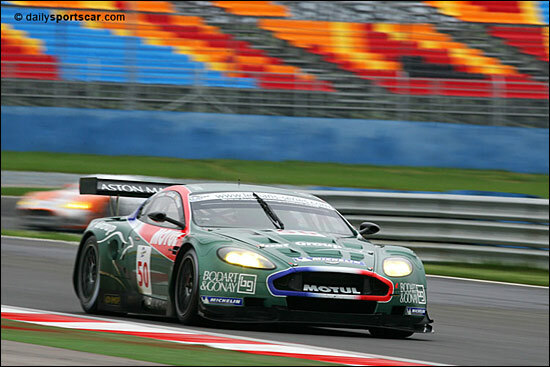 Lamy headed the line-up in the Larbre Aston Martin, which won the GT1 class at Istanbul on April 9 (below). The Aston Martin Racing examples finished second and third at Sebring.